Hollywood mourned the loss of yet another legend this week as the world said goodbye to Lauren Bacall. The silver screen siren was 89 years old, and has left behind a legacy that spans the realms of film, fashion, and the stage. She was the original film noir icon, starring alongside Humphrey Bogart in a series of classics throughout the 1940s, including To Have and Have Not, The Big Sleep, and Key Largo. But Bogie and Bacall had more than just on-screen chemistry; in fact, their passionate love affair, which began when Bacall was fresh off her teenage modeling career, became a romance for the ages and lasted until Bogart's death in 1957. There was definitely something about the high-cheekboned, cigarette-pouting star that transfixed leading men from Bogart to Sinatra, fashion icons like Diana Vreeland and Yves Saint Laurent, and generations of loyal fans. 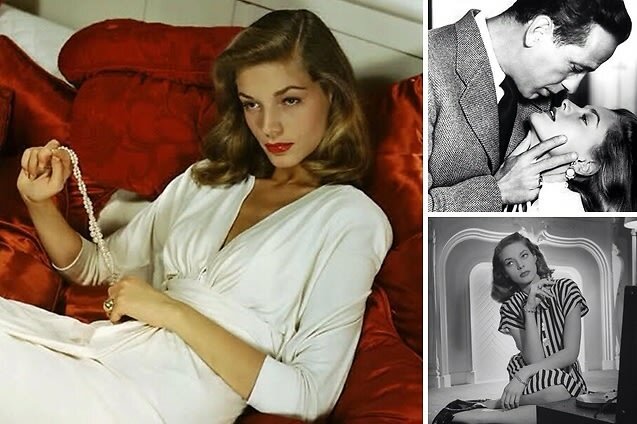 Click through as we remember Lauren Bacall and the 13 ways she's influenced our wardrobes.